The result is a crowded group of high-priced lawyers bent on defending only their own clients. WASHINGTON — As the government’s Russia investigations heat up, a growing cast of lawyers is signing up to defend President Trump and his associates. But the interests of those lawyers – and their clients – don’t always align, adding a new layer of drama and suspicion in a White House already rife with internal rivalries. Trump himself has both an outside legal team and a new in-house special counsel, Ty Cobb, for Russia-related matters. White House senior adviser Jared Kushner, who is also Trump’s son-in-law, has a pair of high-powered attorneys working for him. The president’s son, Donald Trump Jr., recently hired his own lawyer. And former campaign aides who expect to be caught up in the expanding probes are also shopping for representation – and dealing with sticker-shock over the cost. The result is a crowded group of high-priced attorneys bent on defending their own clients, even if it means elbowing those clients’ colleagues. The diverging interests began to emerge more clearly during last week’s fallout over a June 2016 meeting with a Russian attorney that both the president’s son and his son-in-law attended during the presidential campaign. Legal teams for the president, Trump Jr. and Kushner all discussed the matter before the meeting was first reported by The New York Times. But the lawyers couldn’t agree on a single, public explanation for the meeting and ultimately settled on a statement that had to be repeatedly amended as new information dripped out. The job of coordination was especially challenging because the lawyers couldn’t always speak freely about what they knew, out of concern for attorney-client privilege, according to people with knowledge of the discussions. With each new disclosure, the lawyers tweaked their public statements – and anxiously speculated over who in the group was disclosing the damaging information to the media. In Trump’s inner circle, a group long split into factions, the potential for fueling other officials’ legal difficulties could be high. It’s all going to get even more complicated as both Justice Department special counsel Robert Mueller’s investigation and three separate congressional probes gather steam. Kushner is expected to talk to the Senate intelligence committee soon, and Judiciary Chairman Chuck Grassley wants to summon Trump Jr. for testimony. The president and his son have both tried to downplay last year’s meeting with Russian attorney Natalia Veselnitskaya. “Most politicians would have gone to a meeting like the one Don jr attended in order to get info on an opponent. That’s politics!” the president tweeted Monday. But emails about the meeting that were released by Trump Jr. rattled some White House advisers, particularly his enthusiastic response to being told directly that the attorney had damaging information about Democrat Hillary Clinton that was being provided by the Russian government. Last week’s revelations helped prompt the president to bolster his own legal defense. He hired Cobb, an experienced white-collar attorney, who is due to join the White House staff on July 31, according to Cobb’s law firm. Cobb is expected to play a public role, crafting official White House responses to developments. His hiring came with an acknowledgement that the current arrangement wasn’t working. Trump’s personal lawyers were supposed to take the pressure off the White House to respond to Russia inquiries. But it’s become untenable for the West Wing staff to keep punting questions about the president. “We end up spending a lot of time talking to the counsel’s office about what can and can’t be referred to outside counsel, what still remains in our purview,” White House spokesman Sean Spicer said Monday. Spicer said he did not believe Cobb had vetted the president’s tweet Monday. Trump will continue to work with the outside legal team already representing his personal interests: Jay Sekulow, a frequent television commentator, and New York-based attorney Marc Kasowitz, whose unconventional style has left some aides to the president unimpressed. 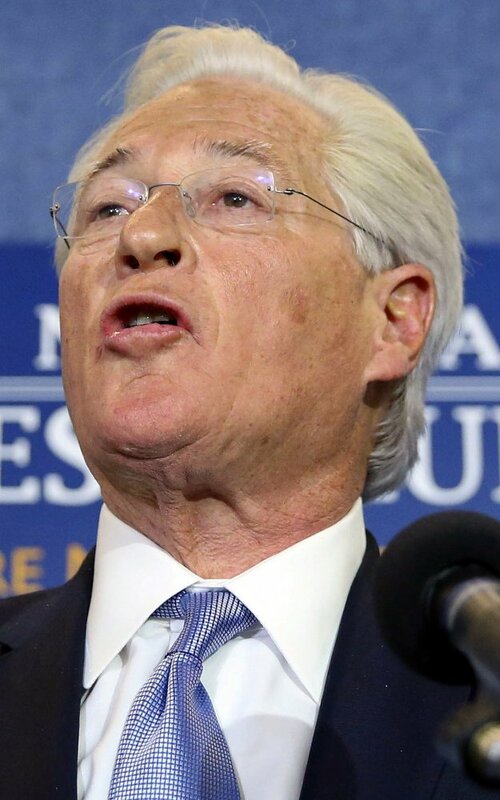 Kasowitz and Sekulow don’t work out of the White House, though both are there on occasion for meetings with the president. Sekulow made multiple appearances at the White House last week as the controversy over the meeting with the Russian lawyer unfolded. The expanding legal teams come at a cost. The Trump presidential campaign has spent almost $1 million on legal fees since the beginning of the year, according to a campaign finance report filed Saturday with the Federal Election Commission. That includes a $50,000 charge for the law firm of Alan Futerfas, who is representing Trump Jr. The payment was made nearly two weeks before news reports about the younger Trump’s Russia meeting.